While the name Dicken’s Café may paint a picture of a quaint idyllic eatery with Victorian tables and a library across one wall, the real restaurant, located in a non-descript Chinese mall, reads differently. In fairness, it’s hard for anywhere to be idyllic when during the first thirty minutes of the meal you’re serenaded by a choir of crying babies that sing at a constant falsetto. Luckily, once 8:00pm hit and the performance ended, the atmosphere calmed down and improved. With various dinner specials, you’ll leave holding your stomach for under $30 as the meals arrive with soup, dessert, and coffee or tea. 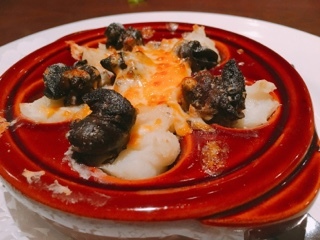 Some even include an extra course: your choice of a sizeable salad or baked escargot. Having snuck a bite of my friend’s escargot, you’ll barely noticeable the lima bean sized snails. Rather, the most prevalent flavours stem from the extremely garlicky mashed potatoes on the bottom. As for the salad… well, it’s salad. 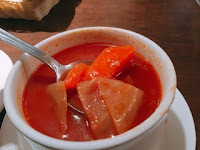 Dicken’s does borscht well, incorporating large chunks of carrots and cabbage in a beefy tomato base. 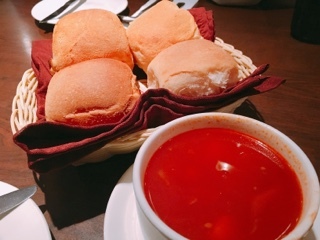 It has that light hint of spiciness in the background that seems synonymous with the Chinese version of the typical East European soup; the heat goes well with the toasted sweet dinner rolls. 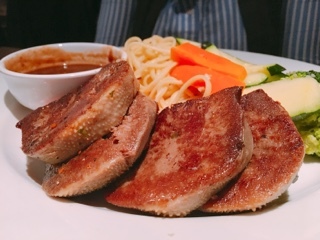 From afar, the pan fried ox tongue ($20.99) looks gorgeous, but the cow’s noticeable taste buds on the sizeable slices of tongue made me a little queasy. After getting over it and trying a bite, it admittedly tastes like really tender brisket but denser and gamier - I still prefer this cut done thinner or chopped and incorporated into a taco. 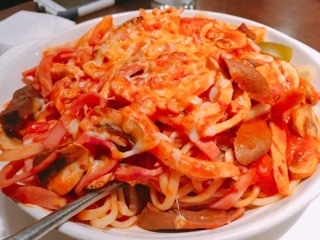 Perhaps the baked linguine with shredded ox tongue, ham and chicken ($19.99) would have been a better option, which mixes slivers of the ingredient amongst tons of other proteins. 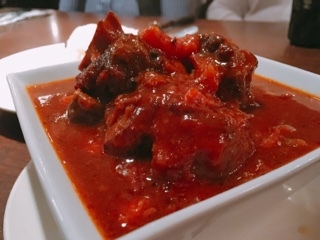 I’ll just stick with the braised ox tail in wine sauce ($20.99), where there’s sizeable chunks of fall-off-the-bone tender meat, which still have plenty of the soft chewy collagen bits I love. 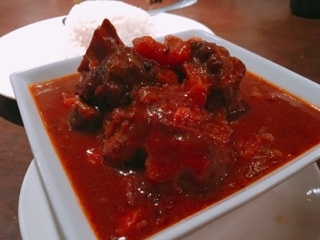 The sauce of the hearty stew is well flavoured and there’s certainly enough of it to spoon over the large mound of rice. 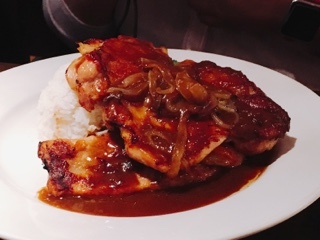 Too full to even try a bite, I was nonetheless impressed with the size of their chicken steak and pork chop in onion sauce ($20.99). Trust me, you won’t leave hungry. 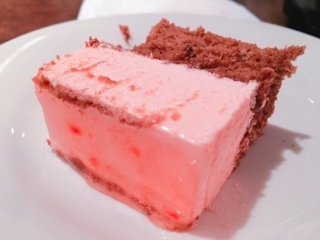 The dessert for the evening was a tiny sliver of strawberry mousse cake – about a quarter of a normal piece. Truth be told, we were already stuffed (some with doggy bags in tow) so we really didn’t need more than the three bites. And there’s only so much I can take of the fake Neapolitan ice cream strawberry flavour. Although Dickens isn’t exactly a serene and picturesque restaurant, for a Hong Kong café, they have decent service and make an effort with their presentation. Overall, the food is prepared well – incorporating enough flavours and the accompanying vegetables and starches not overcooked. With their reasonable pricing and large portions, Dickens will attract many families. Take it from me, if you’d rather skip the opera portion of the evening, plan accordingly with a later reservation.